DULLES, Va., Dec. 14 /PRNewswire/ -- Orbital Sciences Corporation (NYSE: ORB) and Northrop Grumman Corporation's (NYSE: NOC) Integrated Systems Sector (ISS) jointly announced today that the two companies recently signed a wide-ranging teaming agreement to support the National Aeronautics and Space Administration's (NASA's) 2nd Generation Reusable Launch Vehicle (RLV) program. In addition, Orbital and Northrop Grumman submitted a major proposal to NASA earlier this week to participate in America's space agency's plan to invest up to $4.5 billion over the next five years to prepare for the full- scale development of the next-generation RLV that may eventually replace the Space Shuttle. NASA's 2nd Generation RLV program, which is part of the agency's Space Launch Initiative (SLI), is designed to advance RLV technologies and system architectures that will support a decision by NASA for full-scale development of a new RLV by 2005. The Orbital team's submission, whose total potential value was not disclosed, includes proposals for RLV architecture systems engineering and several technology risk reduction activities. Under its proposal, the Orbital team will help define a safe, reliable, low-cost space transportation system that will enhance the civil exploration and commercial development of space. "Orbital and Northrop Grumman together offer a powerful new U.S. team in the wake of recent space industry consolidation that has narrowed the field of potential prime contractors and system integrators from which NASA can select," stated Dr. Antonio L. Elias, Orbital's Senior Vice President and General Manager of its Advanced Programs Group. "Our proven record in developing and operating reliable, cost-effective space launch systems, combined with Northrop Grumman's extensive experience in manned and unmanned flight vehicles, uniquely qualifies our team in the area of human space flight, the highest achievement in our industry." NASA's 2nd Generation RLV Program is planned for an initial term of 10 months with options extending through 2005. 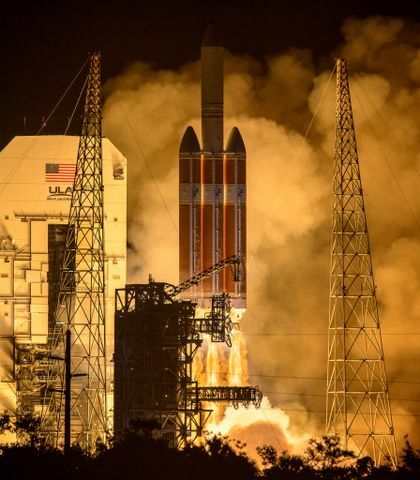 It builds on the results of previous NASA work focusing on systems engineering and conceptual design. The two companies previously partnered on a two-year, $6 million contract in support of NASA's Space Transportation Architecture Studies (STAS) and the follow-on risk reduction activities. Under the proposal submitted earlier this week, Orbital would serve as the prime contractor and would lead the architecture definition and systems engineering activities. 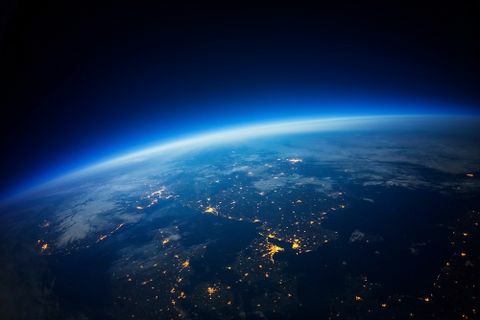 Orbital also would coordinate both the technical and business assessments of alternative future launch architectures across all technology areas. Orbital's participation in the proposal is spearheaded by the company's Advanced Programs Group (APG). Orbital's APG is already leading the way in RLV technology and future human space flight as the prime contractor on NASA's X-34 rocket powered demonstration vehicle and observer contractor on NASA's X- 38/Crew Return Vehicle program. Orbital has designed, manufactured and begun field and in-flight testing activities at NASA's Dryden Flight Research Center on the first of three full-scale X-34 airframes that have been built. In addition, the first prototype MC-1 engine (formerly known as the Fastrac engine), developed by NASA's Marshall Space Flight Center, was recently installed on an X-34 vehicle at the company's Dulles, Virginia manufacturing facility. 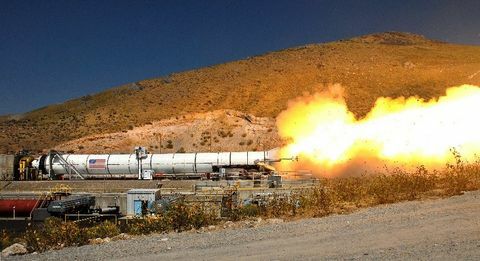 Orbital's 2nd Generation RLV effort builds on more than a decade of leadership in the commercial launch systems market. Over the past decade, the company has been one of the most active and successful developers of entirely new space launch vehicles, including the introduction of such trailblazing launch systems as Pegasus(R) and Taurus(R). In addition, Orbital developed the Minotaur space launch vehicle for the U.S. Air Force utilizing surplus government assets to produce an all-new, low-cost alternative for U.S. government satellite missions. Orbital selected Northrop Grumman as the company's principal partner for the proposed effort after having worked closely with the company on NASA's Space Transportation Architecture Studies. Northrop Grumman's role will constitute a large portion of the Orbital team's efforts. Northrop Grumman intends to build on that relationship by incorporating system integration, leading risk reduction efforts, and providing other complementary capabilities to support NASA in the results of this system definition and technology development. "We bring to the Orbital team our expertise in the areas of system integration and advanced technology in support of NASA's 2nd Generation RLV program," said Mr. Tom Vice, Vice President of Business and Advanced Systems Design for Northrop Grumman ISS's Air Combat Systems (ACS) business area. "We are confident that our past performance in these two areas will help strengthen an already robust relationship with Orbital and help us to continue our efforts on the program," he added. Northrop Grumman's ISS, headquartered in Dallas, Texas, is a premier aerospace systems integration enterprise. ISS has the capabilities to design, develop, integrate, produce and support complete systems, as well as airframe subsystems, for airborne surveillance and battle management aircraft, early warning aircraft, airborne electronic warfare aircraft and air combat aircraft. More information about Northrop Grumman can be found at http://www.northgrum.com .